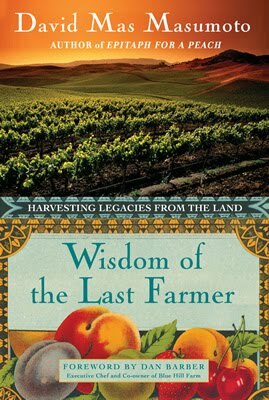 After reading this blog post, head straight to your library's website and put this book on hold because Wisdom of the Last Farmer by David Mas Masumoto is a must-read! Masumoto is part farmer, part philosopher. He could have foregone a lifetime of back and spirit breaking farming to write instead, but then he wouldn't have the same inspiration for his award-winning books. As a third generation Japanese-American farmer, Masumoto acquired his knowledge and love of farming from his father. On their family farm, they use organic methods and old school tools, in part for the environment, but more so for the tradition, the quality of the fruit and the incomparable taste. Masumoto's passion has been growing the perfect peach, which he wrote about in his 1995 book Epitaph for a Peach, which won several literary awards. In Wisdom of the Last Farmer, Masumoto realizes his own immortality when his father has a stroke on the farm. In reteaching him to use first his hands and feet, then a shovel and, eventually, to drive a tractor again, Masumoto recalls learning each lesson, years before, from his father. He also begins to ponder the future of the farm, how it's changed since he took it over from his father, and how it might evolve further when his daughter, Nikiko, takes over in the future. 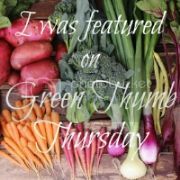 The hardships Masumoto's family has endured over one hundred years of farming makes one realize the true value of organic produce. And somehow, in describing those hardships, Masumoto still manages to make it all sound so romantic. I never imagined finding such an eloquent piece of work from a peach farmer, but this page-turner is one of the best I've read in a long time. Ooooohhh...now that sounds like a good book. Will have to hunt it out at the library. I'm sold! Sounds like some good summer reading.